In an interview with Mumbai Live, Mumbai's 14 year old Maanavi shares her story. Her views will leave you amazed. We often find ourselves pitying the underprivileged and the less fortunate for their circumstances. But how often have we taken major steps to bring about a change? We are always waiting till we have the finances, the authority and the time to make a difference. However, here’s a little girl who started it all with a lemonade sale at the tender age of 9. Now 14 years old, Mumbai-based Maanavi is an example of how impactful our actions can be, irrespective of our age and resources. Calling it a natural instinct, she started her Charity Organisation called ‘For Goodness Sake’, doing everything she can to make some lives better. Inspired by Salman Khan’s ‘Being Human’, Maanavi has a moving story behind what truly pushed her to start her own little venture. 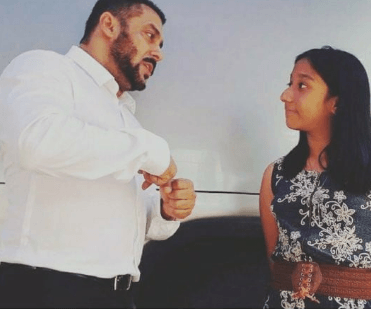 She was in awe of the actor’s little act of kindness when he sent a short video on request amid his busy schedule for a young boy and a family friend suffering from cancer, and who also happened to be a Salman fan. This little girl had a new found respect for the Bollywood celebrity soon after that. Eventually, following her philanthropic inclinations, she started with a fundraiser lemonade stall for charity outside her house. Later on, trying out a Garage Sale, selling off old books and toys, little Maanavi raised roughly ₹3,000 along with her lemonade stall, which she decided to donate to ‘Being Human’. “Firstly, it was like he has a really busy schedule. Like we didn’t really expect anything but my mom ended up getting a 1 minute video where Salman Khan has taken his name, saying ‘There’s hope and don’t worry. We’re all here for you.’” said Maanavi. On a thoughtfully amusing note, she named her organisation ‘For Goodness Sake’ taking inspiration from Justin Beiber’s song ‘Love Yourself’, when while listening to the song it suddenly clicked her, making sense of the two words which imply self-worth. And it is something her little charity venture truly abides by, to inculcate a feeling of self-importance amongst those who have meagre resources. Funnily though, the Shakespeare angle is, indeed, food for thought for any littérateur. Coming from a girl her age, the opinion is truly remarkable. 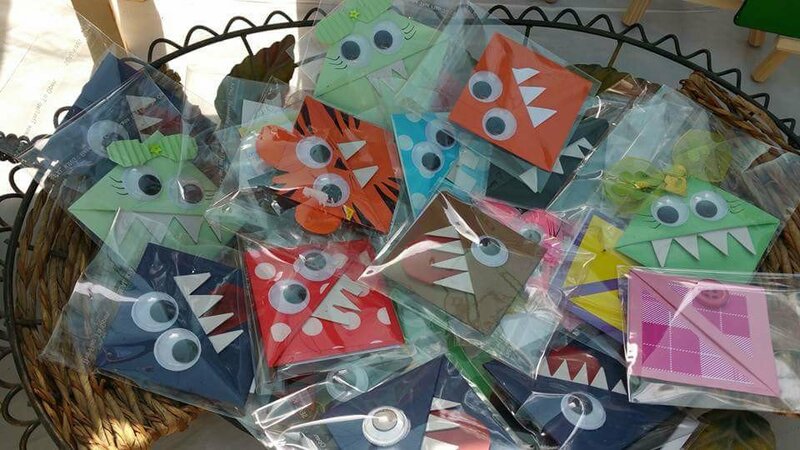 Raising funds through Garage sales and stalls at Candies Bazaar and the Lil Flea, Maanavi has been helping little children from Kanya Pathshala in Darjeeling, her native place, an old age home and an orphanage in Mumbai. 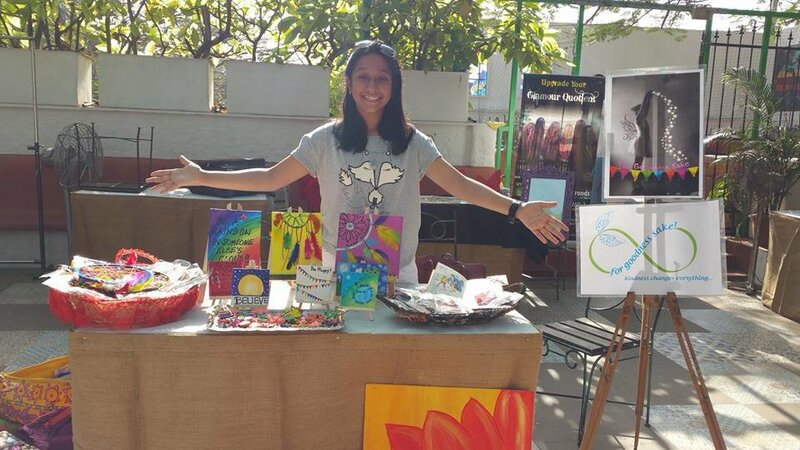 Few of the things she sells at these stalls include handmade and quilled bookmarks, canvas paintings, dreamcatchers, soaps, etc. Spreading empathy and energy, she saw many coming forward in support of her cause when she put up a stall at the Candies Bazaar the third time. “A lot of people gave me their cards, their numbers, came up to me and asked me- ‘Can you give me your Facebook page? We’ll love to follow you.’ It was amazing,” said Maanavi. She even set up a computer in that school and also donated a brand new laptop on behalf of a visitor she met at Candies. 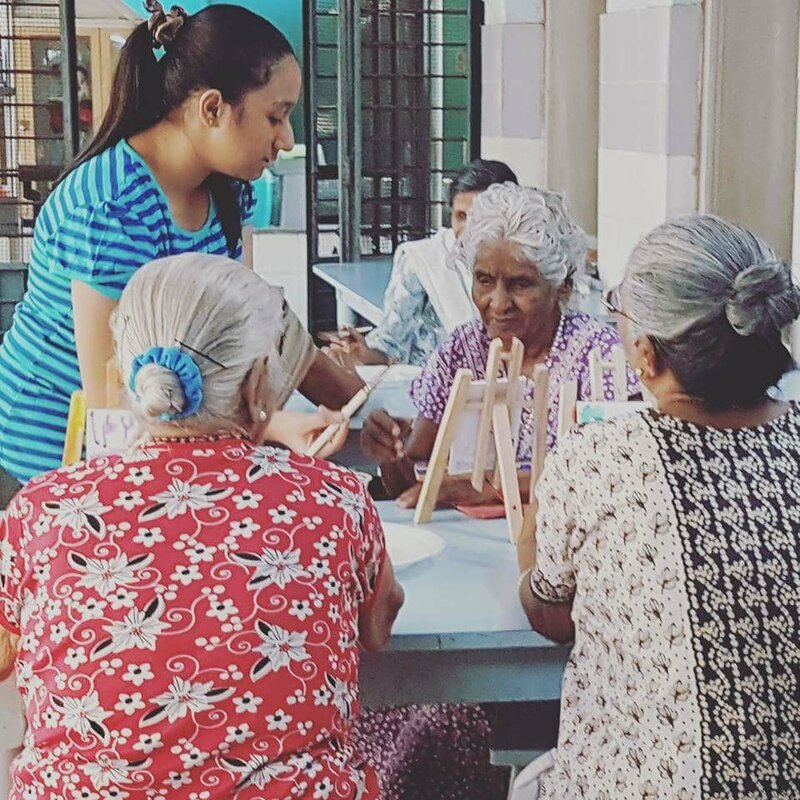 Also, doing her bit for old age homes and orphanages, Maanavi loves to spend joyous moments with those who she feels need her help. Painting canvas, singing and dancing with these people, and taking children out to Dominoes just to make them happy, this little girl has been truly spreading smiles. She also plans to do a workshop for convict children (children of convicts, spending their time in prisons as they have nowhere to go) prior to Christmas. 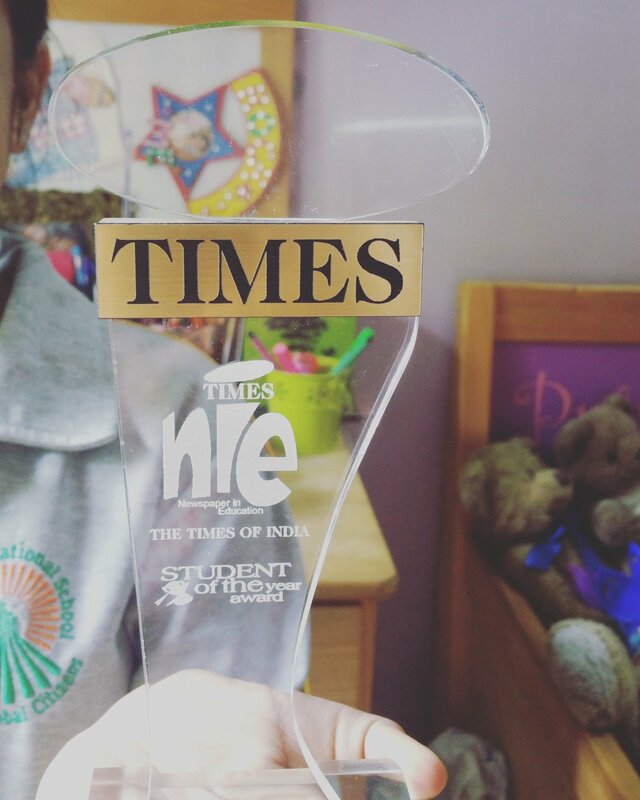 As a student of City International School, Maanavi also spoke very highly of how her teachers have been supporting her endeavours and others in her school who pursue their passion. Thankful to her peers and her friends about how helpful they have been, she intends to hold workshops and support the charity cell in her school. Besides being bright, this little girl is a talented young soul who dreams of entering the music and the film industry, making music and contributing to iconic films along with doing her bit for social good. Maanavi has a long way to go and she is on the path to inspiring many adults to do their bit along the way.